Good evening and welcome to the liveblog for the final timer at 9-4RP2. This is the hull timer on the Pandemic Horde Keepstar that Imperium put into reinforced last week. Any terrible English tonight is to be blamed on the flu, so apologies in advance. With just about an hour to go on the timer, forces have started gathering in 9-4 and the nearby staging systems for each side. Local is currently at 4800, and tidi is at 10%. Taking into account local, and the nearby staging systems, there could be upwards of 7000 people at this fight if they all engage. 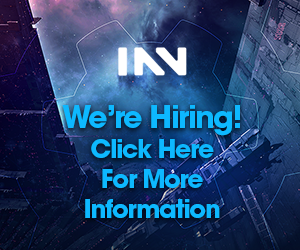 The fight will be streamed over on INN Twitch, where Dirk Macgirk & Matterall are joined by a wide range of guests including Gigx, CCP Falcon, Grath Telkin and Seleene. We have had some early pictures come in from our space photographers Shingly (first two images), and Rose Knightley. Expect it to be quiet on the blog for the next hour, until the timer, but I will try to find things to update you with in the meantime. 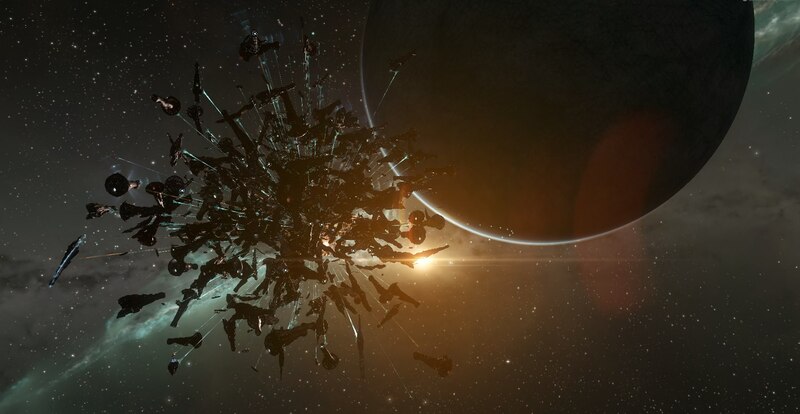 2105: We are hearing that some Goon Nyx have jumped to what appears to be a…faulty cyno….and landed themselves on the Keepstar. Zkill has not yet updated, but we will provide links when it does. 2114: First Nyx loss is on Zkill. 2127: So far, only 1 Northern titan on grid, overview full of supers. A good mix of Aeon and Nyx from all involved Northern forces. 2133: just about 25 minutes to go. 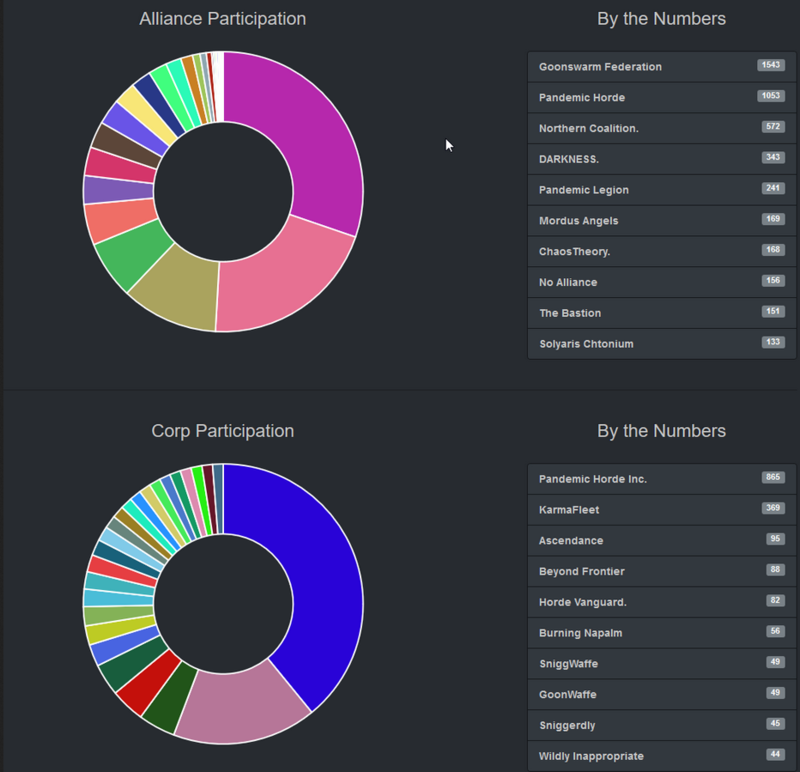 Grath Telkin (currently commentating on INN Twitch) has provided this participation chart. 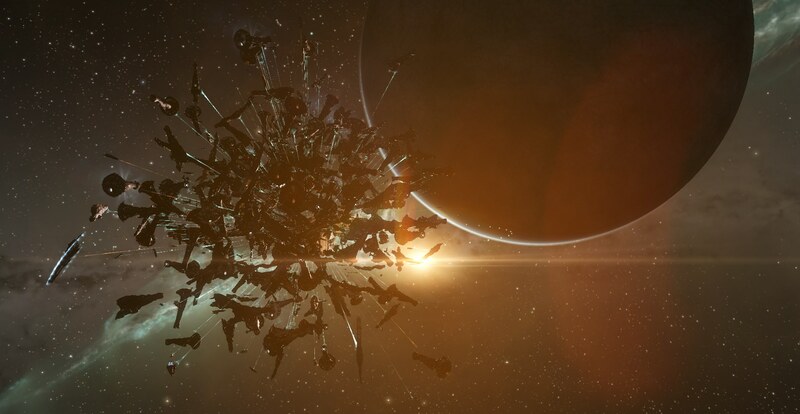 The other Nyx losses have popped up on zkill now. One from Theslayer and one from Heather Mordil. 2138: 17m until the timer, Imperium fighters are making their way across to the Keepstar. They may have left it too late to launch them, with the TiDi in effect. 2148: 6 minutes on the timer. The Mittani spotted on field in a Wyvern! Tidi still hell, potato mode not helping at all. 2152: 2m30s on timer, local at 5780. Looks like both sides are sitting in tether on their respective structures, having a battle of the fighters. 2155: Aand, we are off! Very slowly of course. Remember, the timer ticks down in real time, not TiDi time. CCP Fozzie recently explained that this was due to TiDi being measured on one node only, while repair timers are across several nodes. 2201: Still repairing, 9m 45s on the timer. Fighters still making their way across. I turned on all brackets. This seemed like a good idea at the time. It was not. Do not do this. 2209: We have another image from Shingly. In 9-4, Xenuria is contributing to the lag by promoting his CSM campaign. Laztel, Elise Randolph, The Mittani are all in local. Karaoke potential is high. 2215: Much excitement! Keepstar has lost almost 1 bar of hull….only 9 to go! Horde have around 600 scorpions out and about. They will be trying to jam the fighters to stop them attacking the Keepstar. 2220: NC Titans have arrived in local. I would screenshot, but my client is not co-operating. Mostly Erebus and Aeon. There is at least one Vanquisher on field. There is a ball of light-fighters heading towards the Imperium jackdaw fleet. People in the Jackdaw fleet are reporting unresponsive clients (as most of us are), and unable to activate prop-mods. Once again, fights in max tidi are about how lucky you get with modules activating, and locking. CCP Falcon has confirmed that the numbers in system are a record (that was 5300). Update: The light-fighters seem to be going for a small group of 5 or so Imperium fighters. 2230: Unable to give updates at the moment. Client is going unresponsive every time I click on something. I will try to reboot (RIP) and hopefully be back in system shortly. Grath on INN Twitch has just reminded everyone that one of the issues with server load right now is the sheer number of fighters employed by each side. While there are 5700 in local, there are also a large number of fighters deployed. These are of course having their own commands to the server. 2237: Imperium supercarriers are de-tethered on the Fortizar. This means they can be attacked. Boat has joined the INN Twitch. Head over there for commentary from Grath Telkin, Seleene, Harvey Skywarker, Vily and Gigx. 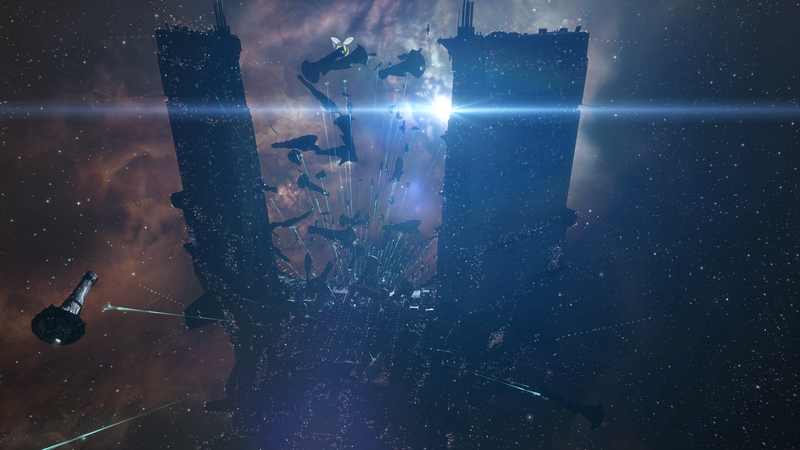 2239: Boat has reported that the Keepstar has fired its Doomsday, but it only hit a few Machariels. It cannot be used again for around an hour. XIX have turned up in a confessor fleet, and are assisting NCPL. My client is still trying to log back in. 2256: TiDi still in effect, things still moving very slowly. In the meantime, here is Progodlegend’s interview with Canadian Broadcast Corporation. Taking a break for now from the liveblog. Head over to INN Twitch for keeping up to date on what promises to be a tidi-marathon. Unless goons fully committed right from the start and dropped dreads/titans on grid (which would put them at a disadvantage but who knows, might give them a chance to overcome that with their numbers), their wasn’t much chance to begin with for them to win. Launching fighters can only get you so far in tidi. Nah, we’d have been in a much better position if the Aeons had been brought in and launched along w/the other three supercarrier types. More space superiority fighters == more clearing of enemy fighters, and more FBs == let the subcaps get on their subcaps sooner. But you know, live and learn. More carriers or more titans, either way goons did simply not commit enough for this fight. The irony is, the decision not to bring in the Aeons wasn’t a lack of commitment, it was ‘do we want to add another 100 supercarriers of TiDi?’. We gambled on which way the servers would break. Can’t roll 7s every time. You claim it yourself: With this tidi, more Aeons would have won you the objective. That’s under-commitment in my book, but in the end that’s not what this is about. Now that you have learned, you’re going to do it right with the next timer, right? If what you claim is truth and more commitment would have surely won you the battle, then what’s holding you back from finishing the job on the next timer? In the end a “would have victory” is still a loss. Well, ‘the next timer’ is more like ‘three attacks from now’, you know? But again: ‘more commitment’ is a false assumption, because, once again: the level of commitment on either side of the decision tree is the same. It’s kind of like repeatedly saying ‘hey, you only sent four guys in that boat, you needed more commitment’ when you’re being told ‘the boat can only carry three safely. We’re pretty sure five would’ve sunk it’. That’s not a lack of commitment. The reality is that in order to win you can’t afford to commit “the same” as your enemy. As an attacker you typically need to commit more, no “the same”, to secure victory. It’s a principle as old as warfare itself and this tidi battle really isn’t that different in that regard. Yes, unresponsive clients, peple DCing and landing all over the system sounds like good idea to drop Titans. And then cyno wont activate. And some Titans land in the sun bc why not . And then everybody dogpiles on us. Sound plan. Titans can be brought in before the battle of course, but as I said, committing them would have put the attackers at a disadvantage. I believe the keepstar was saved. Yes it sounds like a steady deterioration of client responsiveness, hung modules and sheer disconnects in tranches of 4-500 players at a time just eroded the actual damage application on the target. We had the spare ships and pilots reinforcing losses. But at some point at around 4am EVE our latest reinforce of Aeons reported that their fighter bays didn’t actually respond to launch fighter bombers. So the pilots were there, enduring the capricious nature of TIDI and server load. 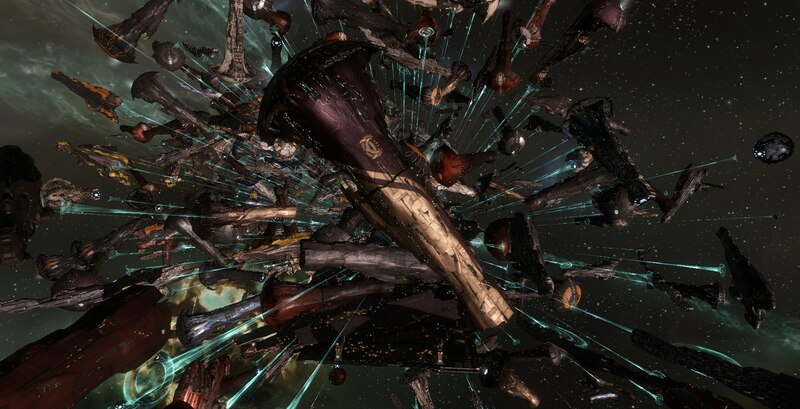 But in the end it was the limits of server hardware that failed to kill a keepstar. They truly had to do NOTHING to “get the job done” is what you’re saying then? Those are not terribly relevant numbers given the scale, and especially given who the fleets were. So yes what you just confirmed is that the panfam and allies had to do nothing of value to “get the job done”. However they did not remove the threat, impugn the willpower of the attackers or remove their bases so on a strategic level this is merely a pause. Although every pronouncement so far seems to point at this being a test bed fight to check how things work at worst case with no further projection beyond it except the usual roams, pokes and prods. So in that sense a standoff is good enough. You didn’t defang the carriers, server lag did. Most of the carriers still had more or less full fighter holds when they went home. I think you’re wasting your time on that one unfortunately. Some folks you just can’t reach because THEY don’t want it. you seem to miss the point. As it stands now game mechanics will also hider your side to ever take down a imperium keepstar. 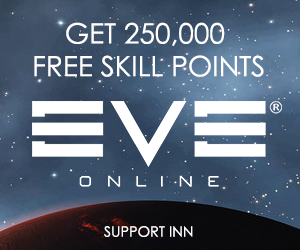 In Soviet Eve, game beats players! Not much, it sounds like. On the other hand, there seems to be widespread reddit-outrage about the quality of our Upwell-related game mechanics. It’s a somewhat-tardy Christmas miracle.